The Court of Appeal halted the bid of the People’s Progressive Party (PPP) for a possible early return to power, yesterday, in majority rulings making it clear that a no-confidence motion was not properly carried on the evening of December 21, 2018. Rather, of the 65 seats, the absolute majority needed to carry a no-confidence vote in the National Assembly is 34—not 33. The PPP is now making its intentions clear – the party is going to the Caribbean Court of Justice – the final judicial review, for the ultimate opinion. In effect, the opinions of the three Court of Appeal judges have allowed the Government to continue business as usual. Around 18:00hrs, lead counsel for the Opposition, Anil Nandlall, a former Attorney General, emerged from the courtroom, and said that he is “disappointed” as it was always felt that 33 has always constituted a majority in the National Assembly, since independence. He said that the development of the Court yesterday has upturned the belief of what a majority was. According to Nandlall, he has been arguing that nowhere in the Constitution was the term or prefix “absolute” used in front to the word majority. He said that the framers of the Constitution did so deliberately. He said that if the framers had wanted to use the term “absolute majority”, they would have done so. 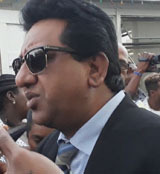 According to Nandlall, the Opposition has always said that the matter will be going to the Caribbean Court of Justice, if that is what it takes. He said that he will be taking one issue and it can be heard in a matter of days. He admitted that the effect of the decisions in the Court yesterday is that the no-confidence motion was not validly passed. Meanwhile, Attorney General, Basil Williams, told reporters that the case had stretched the extremities of the law.The proper principle has been applied to the compilation and calculation of a vote. Williams sidestepped questions about what is next in context of the planned announcement by President David Granger about early elections brought on by no confidence vote. He said the President and his colleagues will address that. One of the lawyers for Compton Reid, a farmer who challenged the legality of the vote, explained that there were questions of the Court of Appeal’s jurisdiction. To satisfy the court, a Constitutional motion was filed alleging a violation of the Constitution. 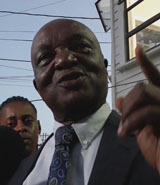 Boston was confident of the same positive outcomes at the Caribbean Court of Justice. Regional Elections will be inevitable. In spite of this ruling, Jagdeo said that the People’s Progressive Party will move swiftly to the CCJ for an early review of the Appeal Court’s ruling. He said, too, that calls will continue for early elections and that the Guyana Elections Commission (GECOM) should not pause or halt its preparations for elections in this regard. Jagdeo said that the CCJ could very well overturn the ruling of the Appellate Court. Further to this, Jagdeo expressed disagreement with the argument used by the court. The PPP General Secretary, a former President who served more than decade, said that the Constitution clearly outlines that the Cabinet, including the President, shall resign if it is defeated by the vote of a majority of all the elected members of the House on a vote of Confidence. Yet, Jagdeo said, the Appeal Court deemed that the majority of 65 is 34. Additionally, Jagdeo said that he had expected that if the High Court’s ruling that the no-confidence motion was valid had to be overturned, perhaps some other technicality would have been used. 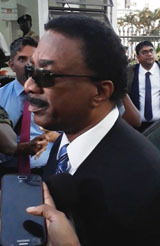 He thought that the argument of the dual citizenship status of former AFC Member, Charrandass Persaud who voted in support of the motion would have been used. 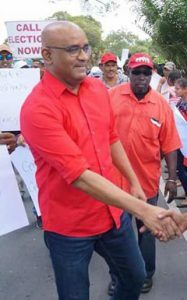 Jagdeo vowed to intensify the struggle to dislodge the Coalition.